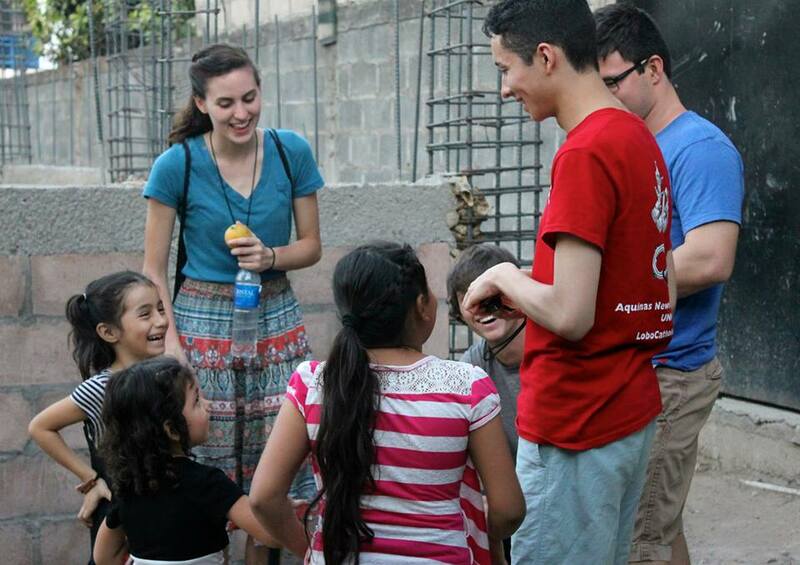 Just a couple of weeks ago for spring break I had the opportunity to help lead a FOCUS mission trip to El Salvador! It was such an amazing experience! I’ve had so many people ask me about the trip and everything in the past couple of weeks, but it’s so hard to put into words what I got to experience throughout that whole week. Here are some of my take away’s, as best as I can summarize them. The trip was eye opening in so many ways. This was probably my biggest take away. 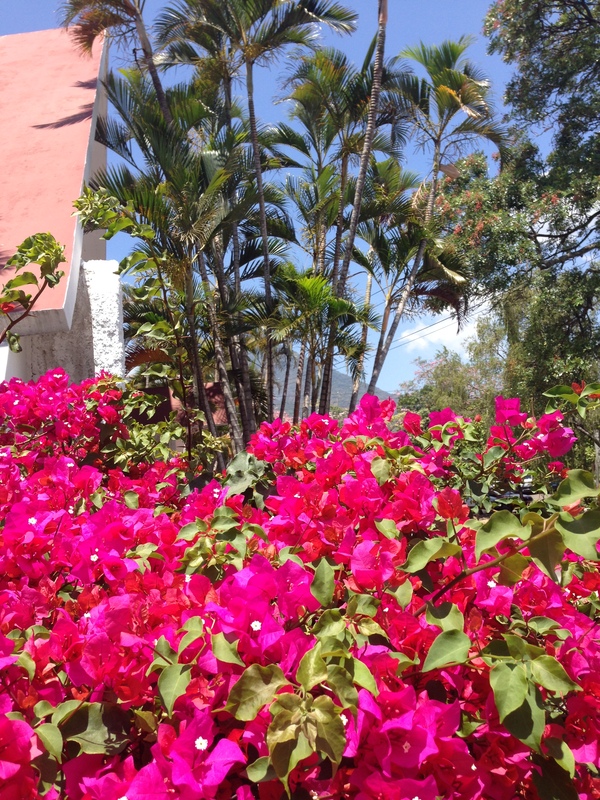 I had never really left the comfortable American world until then: I’ve been blessed to be able to vacation in Mexico and Canada, but even in Mexico we didn’t need to speak Spanish because we stayed at resorts. 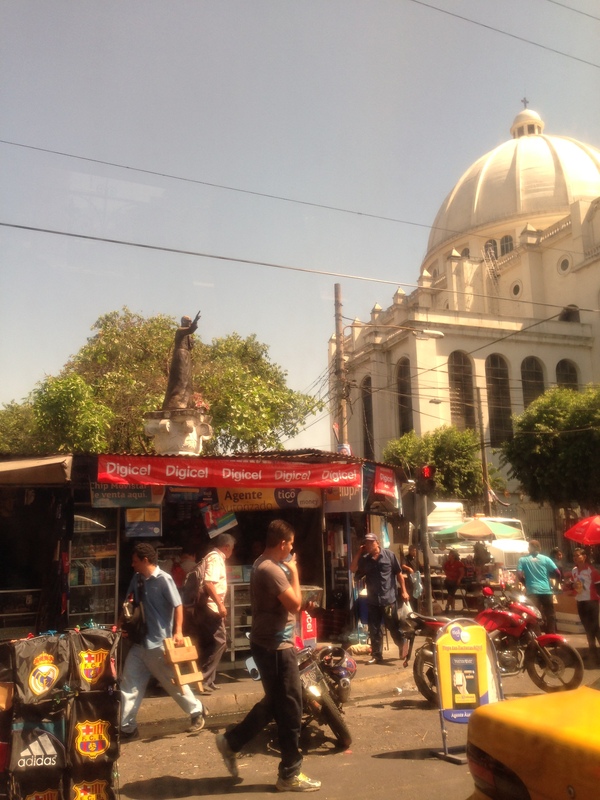 In El Salvador, I was immediately confronted by a different culture and way of life. Even in the Avianca section in Miami Airport, we were some of the only people who weren’t speaking in Spanish. I love learning Spanish and I hope to be fluent one day, but for now it was somewhat overwhelming when people spoke to me in Spanish expecting me to understand. I can pick up words and even understand phrases and simple sentences, but when they’re speaking so fast, I had to flag down our friendly Spanish speaking missionaries, Roxio and Mario! A pic of our local neighborhood. I couldn’t help but notice the poverty right away. It wasn’t like there were hoards of homeless people (that I saw), but rather nearly all of the homes there made a small “lower class” home in the United States look very nice. They made those “bad” parts of Newark look normal. They did have electricity (the wealthier homes at least- oh and I did see a very modern transmission substation by a highway once) and water (kind of- we couldn’t drink it, and hot water wasn’t common). It was such a joy to be able to talk and play with the kids! They were shy but they warmed up to us fast! A very interesting thing happened every night while we were there. Everyone got all antsy and said that they had to leave around 5:30 pm. Every single night. It was still bright out and everything, and it was early in the evening, so I was confused about why they needed to get back home so early. It turned out that the gangs have instituted an unofficial curfew over the entire country, especially where we were in San Miguel, at 6 pm. That’s when they come out and it isn’t safe to be outside of your homes. In fact, every home had bars over their windows, cement walls around their yards, and barbed wire on top of everything. There were security guards in most businesses holding guns. Gang violence is very real, and there is the legacy of the civil war that ended in 1993 as well. I was devastated to learn just how deadly the civil war was, with the government (supplied by the United States) sending death squads to local towns by the end of it. I guess that shouldn’t be too much of a shock that it came to that after the whole Archbishop Romero fiasco, which I’ll talk about later. 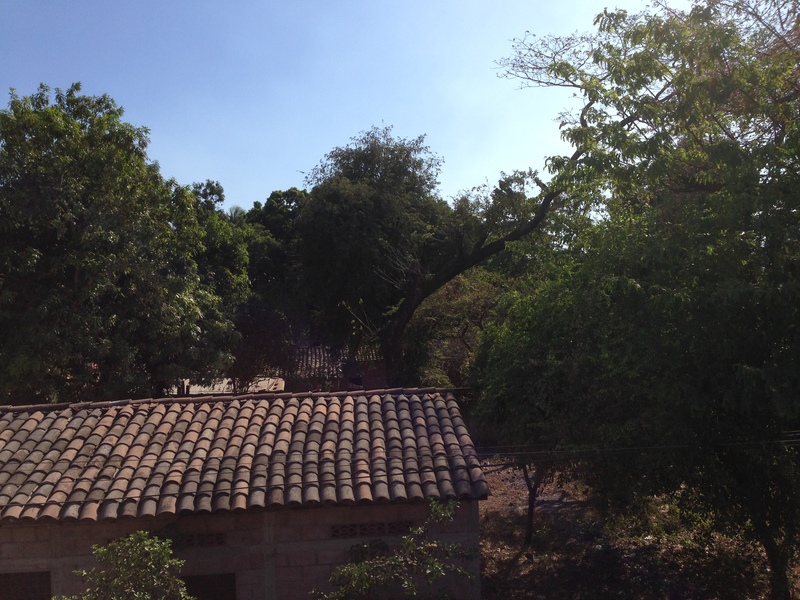 This is just a random shot of some homes in El Salvador. If you look closely you’ll notice barbed wire on top, all the fences, and bars over all the windows. The food was seriously out of this world. We had the most amazing deal: some of the women (mostly grandmas) in the parish cooked for us 3 meals a day, and they went all out for us, cooking seriously the most amazing food I’ve ever had (no offense to my mom and grandma!). A couple of the Americans’ stomachs didn’t mix well with the food, but I was surprised to find that my stomach was more bothered coming back to America and eating processed food. Whoops, America. 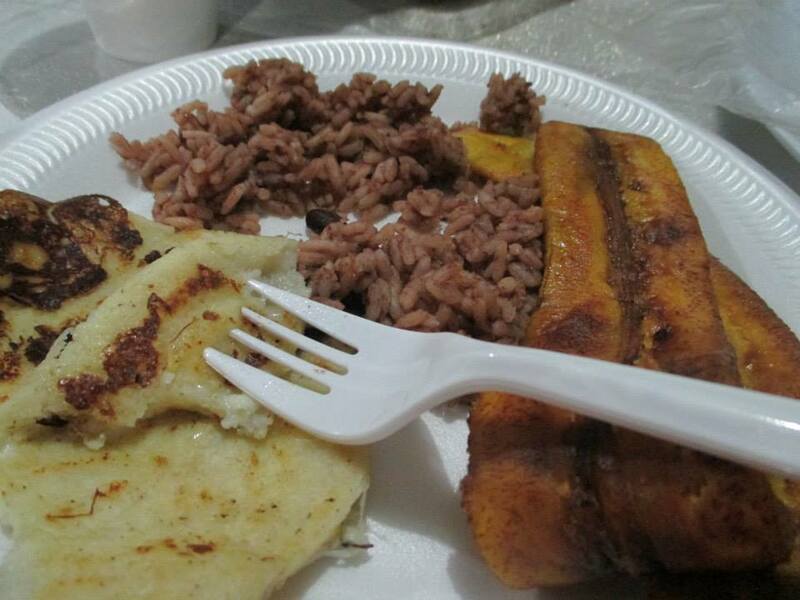 Typical Salvadorian comida: pupusas on the left, rice in the center, fried plantains on the right. Turns out that plantains go really good with ketchup! The faith of the people was so inspiring! Everyone loved to talk about Jesus, and sometimes it was hard to get them to stop… 😉 They loved putting Jesus stickers everywhere on their cars and every other person seemed to be wearing a rosary (public service announcement, you’re actually not supposed to wear them as a fashion symbol). One of the coolest things that we got to experience was stations of the cross with a local town (Chirilagua, I believe). After mass on that Friday evening, the whole town seemed to gather together outside of the church as we walked around the town carrying a doll/statue thing of Jesus to each station, set up right in front of houses and shops and things. 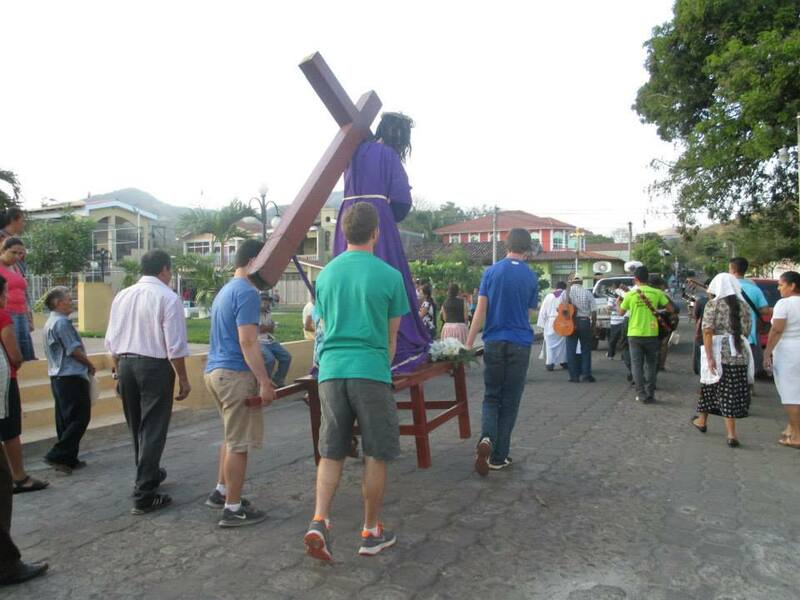 Carrying the cross for stations of the cross with the community! With the parish that we were helping rebuild their church, I was impressed with how tight knit the whole parish seemed to be, with dozens showing up to daily mass with us, many of the male parishioners helped with the construction, and many of the female parishioners helped with cooking for them all and other odds and ends jobs. Another impressive thing about this parish was how they go on house visits each week to families their local community. 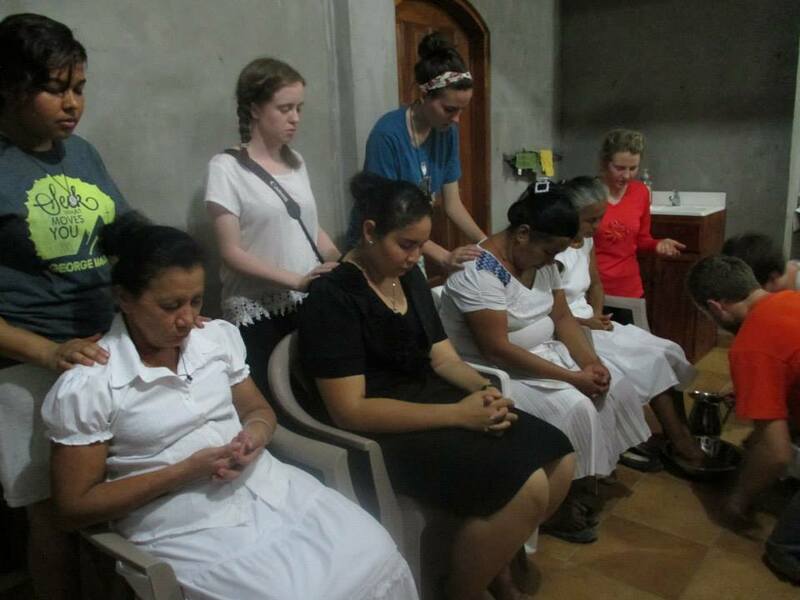 At each house visit, they see how each other is doing, read the Gospel for the next Sunday together, have a mini bible study, and then close in prayer. That’s an awesome way of outreach that we should try and apply back in the United States! Even more powerful than all of those experiences for me was when the community prayed for us all, with some of the leaders laying their hands on each of us and praying with such emotion for each of us. Leaders of the parish praying over us… so beautiful! An absolutely stunning story that the locals shared with us was the tradition of Reina de la Paz, patron saint of El Salvador. If you can read Spanish, the more in depth details are here. If not, here’s my basic summary: In 1787, San Miguel Volcano, which is not surprisingly right next to the city of San Miguel, was erupting and threatening to destroy the entire city. The entire city, or I guess town back then, being Catholic Christians, turned to God and the Virgin Mary in prayer. They had this image of Mary that they decided to bring up with them to the volcano, begging for the Virgin Mary’s intercession in saving them and their city. Miraculously, the lava actually stopped and went a different direction, saving them all! Praise God! To this day, that same image of Mary, who they call Reina de la Paz (Queen of Peace), is in the Cathedral of San Miguel, holding a palm branch from the event. Reina de la Paz is the patron saint of all of El Salvador. When we went to the Cathedral for Sunday mass, we got to see Reina de la Paz ourselves and even touch it! It was so beautiful and moving to be able to be so close to something so important to the hearts of the native people. Isn’t their faith so strong?! We didn’t get to personally meet Archbishop Romero, but it felt like we did after getting to know and love this holy man so much that week. Here’s a great article that summarizes why he is such a big deal in El Salvador, and admired throughout Latin America, the Church, and the world at large. Basically Monsignor Romero (as they call him, even though he was an Archbishop) spoke out against the corruption and evils of the Salvadorian government while he was Archbishop and the leader of the Church in that country from 1977-1980. By that time, the government had begun to use violence to try and keep protesters quiet, and for a while it seemed like a priest was killed every month. Months before Romero was actually assassinated, there was a different attempt on his life where there were large amounts of dynamite placed right in front of the Cathedral, which would have killed him and hundreds or thousands more. Thankfully that attempt was revealed, but it didn’t stop Romero from speaking boldly. Above all, Romero was a man of God who wished to share the Gospel and help the poor. He lived a very simple life and was for the most part a very quiet man. But he was placed in a very explosive situation and despite the fear he must have felt, he stayed true to his God and his people above all else. He was shot while saying mass by an assassin on March 24th, 1980. At his funeral mass, tens of thousands showed up, but the government didn’t want that to happen so they shot into the crowd, killing about 60-80 people according to our Salvadorian hosts. Of course, the violence by the government was only beginning at that point. 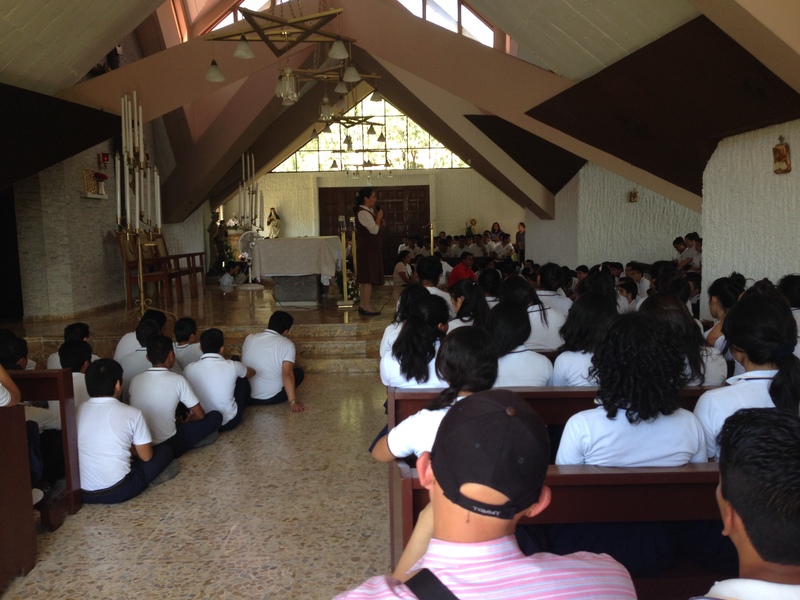 While in El Salvador, we had the opportunity to visit Romero’s tomb, house where he lived, church where he was shot, and even the square where he will be beatified this May! It was inspiring to learn more about this man and he has quickly become one of my favorite saints. Archbishop Romero, pray for us! A statue of Romero outside the Cathedral in San Salvador. 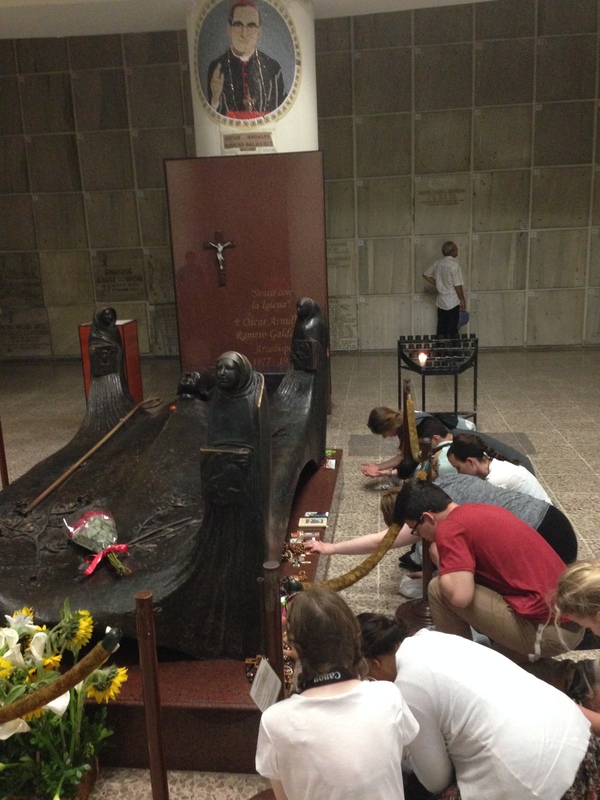 Praying next to Romero’s tomb. There were dozens of the faithful coming in to visit and pray by the tomb with us. 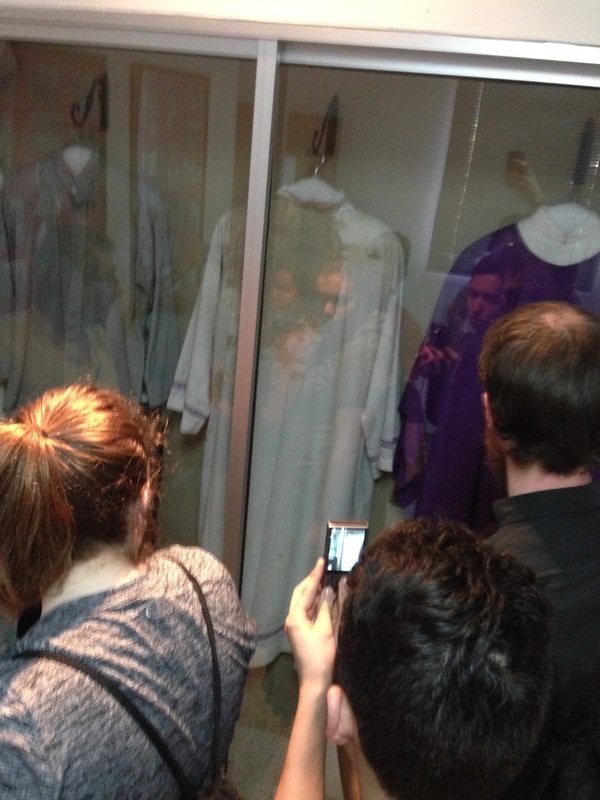 The vestments that Romero was wearing when he was shot. The most beautiful flowers were growing right outside the church where he was shot. 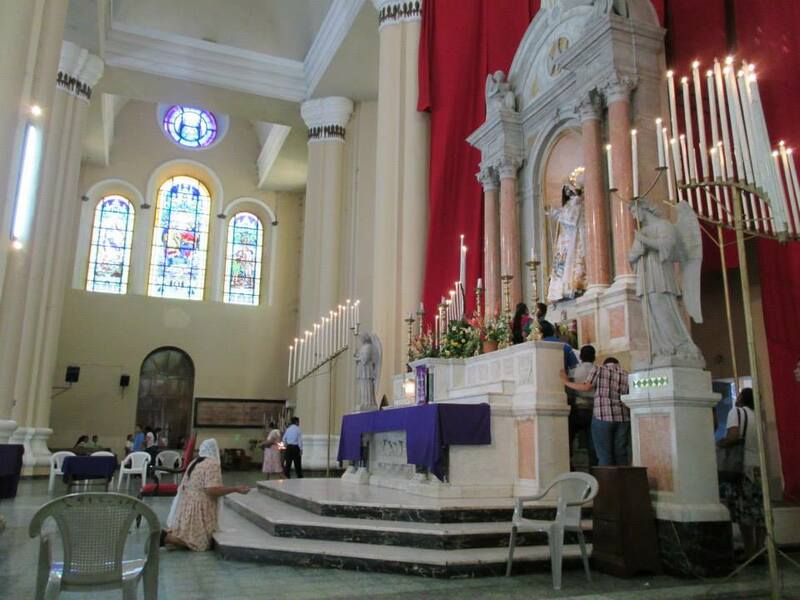 Archbishop Romero was saying mass at that altar when he was shot. Today schoolchildren come and visit daily. As we were preparing to leave, we decided to leave our cooks, and through them the entire parish, a little sign of how much they meant to us by washing their feet. We prayed with them as we washed their feet and it was so moving to think about how much God had done through both parties. They had given up so much to serve us, and we definitely had given up some things in order to serve them as well. The sacrifices made by both parties for the sake of God and His Church was so beautiful. Washing the feet and praying for our amazing cooks! Though it might not seem like it, we actually did some work too! So the practical part of our mission trip was to help them build a new church, because the last one was destroyed in 2001 by an earthquake. It’s taken them this long to be able to build a new one because they don’t have the funds. 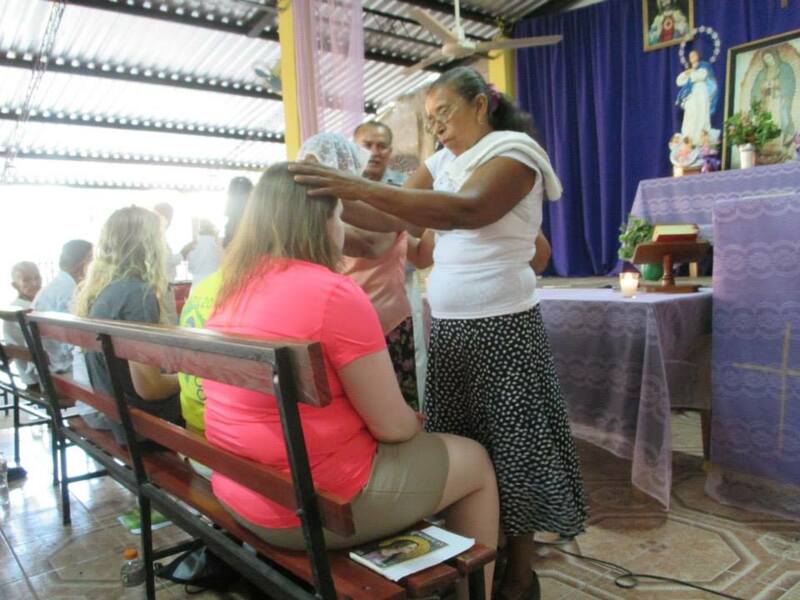 Thanks to about 5 more FOCUS Mission trips to this parish, we’ll be able to significantly help them both with funds and free labor, so that they hope to have it completed in about a year. 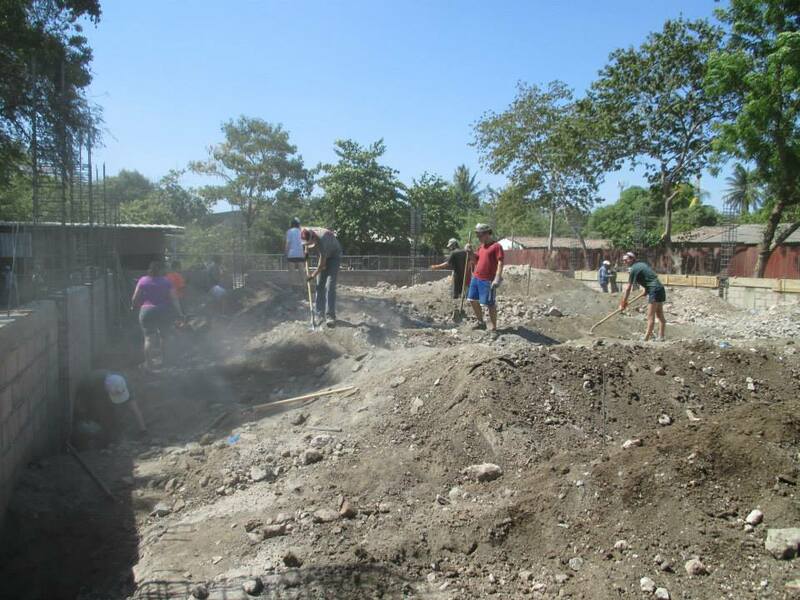 At the moment we were just working on the foundation, so most of what we did was shoveling dirt and carrying concrete by bucket. They had no back hoes, cement trucks, cranes, lifts, dump trucks, or anything that you’d expect in America. All of the labor was by hand. But it was a lot of fun! I enjoyed being able to work side by side with the locals, chatting it up with my fellow missionaries (both FOCUS and students), and enjoying that wonderful 100 degree dry heat. I swear there wasn’t a cloud in the sky all week. 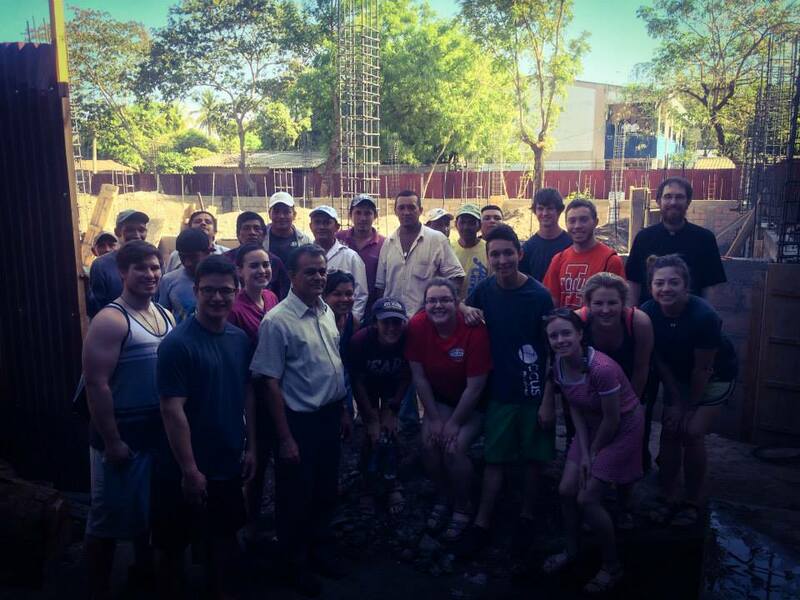 Our mission trip team with the workers and Father Antonio. One of the most important things that I’ll cherish from this trip is growing in friendship with my amazing teammates! 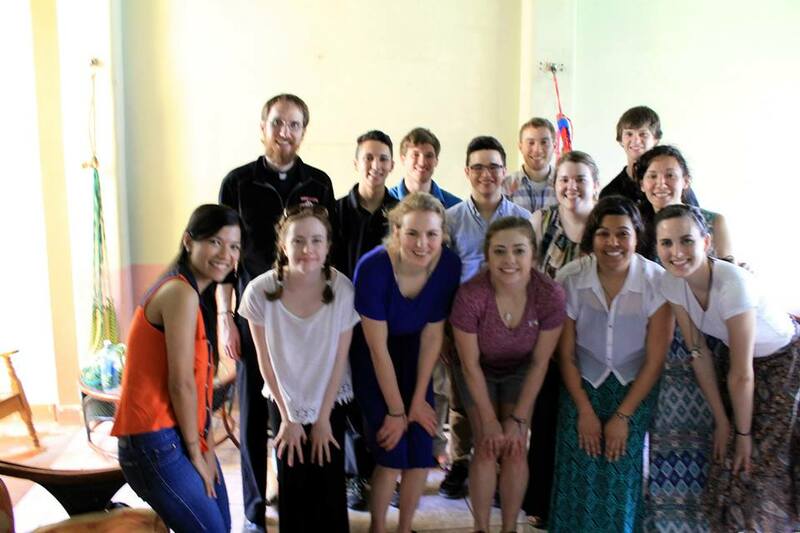 Carly, Grace, Tess, Becca, Roxio, Elli, Sarah, Jonathan, Max, Mario, Michael, and Fr. Jeff. You guys are awesome! It was so beautiful to not really know anybody going into this week, and come out of it with 12 new amazing friends, with plenty of inside jokes to go with it. No espanol. Pwerp. Having a blast! Michael prancing away from the scorpion. Alfredo. Too blessed to be stressed! Liquiddddddd!!! Riding in the back of the pickup truck. God’s pharmacy. Shamar the rear! I saw God in you guys. Your service and selflessness is inspiring and I can’t wait to see where God leads you all! Huge shout outs to Sarah for being in charge of basically everything and being an amazing trip director and Fr. Jeff for joining us last minute and being such a great priest and role model! 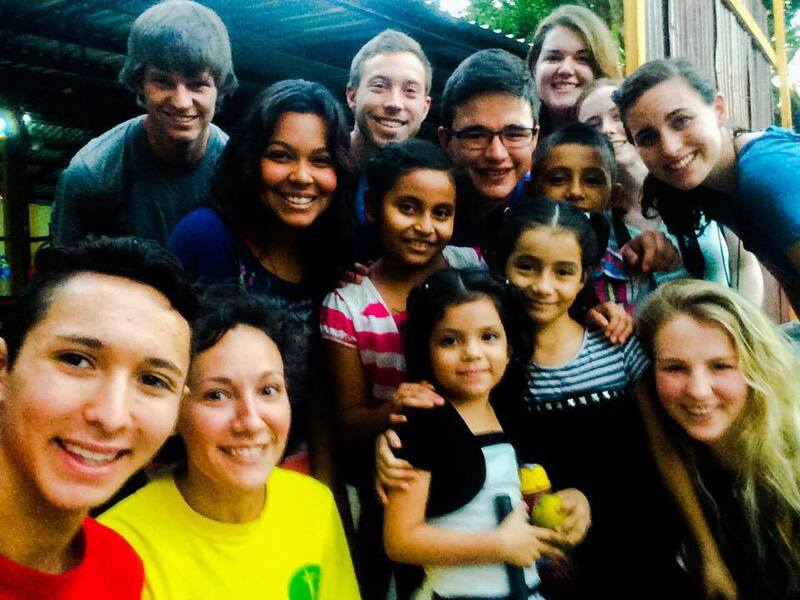 If you get the chance to go on a mission trip, you should go! It was amazing and transformative and fun! It has helped me grow in my faith, gain a more complete world view, and have some experiences that I’ll cherish the rest of my life. Check out FOCUS Missions! Here’s a video that Mario put together of us! This entry was posted in Catholicism and tagged Adventure, Archbishop Romero, Catholic, Christian, Church, El Salvador, faith, FOCUS, God, Jesus, Latin America, life, Mission Trip, Missionary, Pope Francis, Reina de la Paz, religion, San Miguel, Service, Spanish, Thoughts by Chris. Bookmark the permalink.